Kitesurfing courses throughout the year for all profiles on a unique spot! 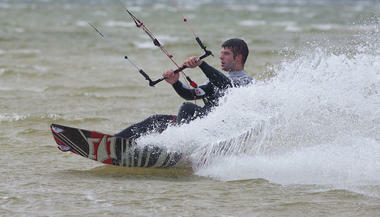 Discover the lake otherwise, through learning to kitesurf with Kite School Zone. Nico and Marco welcome you all year on the South West best kitesurfing spot! On the site of Lachanau, Hourtin, you'll enjoy the best learning this large area, low depth, for optimum safe progression. 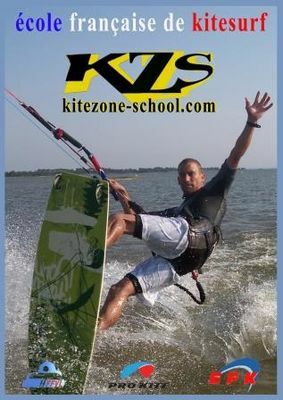 KZS, labeled French school Kite, provides you with all the material suited for your level of experience, from beginner to advanced, and strives to enable you to become the kitesurfer of your dreams: traction drive a motorboat , or communication by walkie talkie live to get the best possible advice! There is no review about Kite Zone School, be the first to leave one !